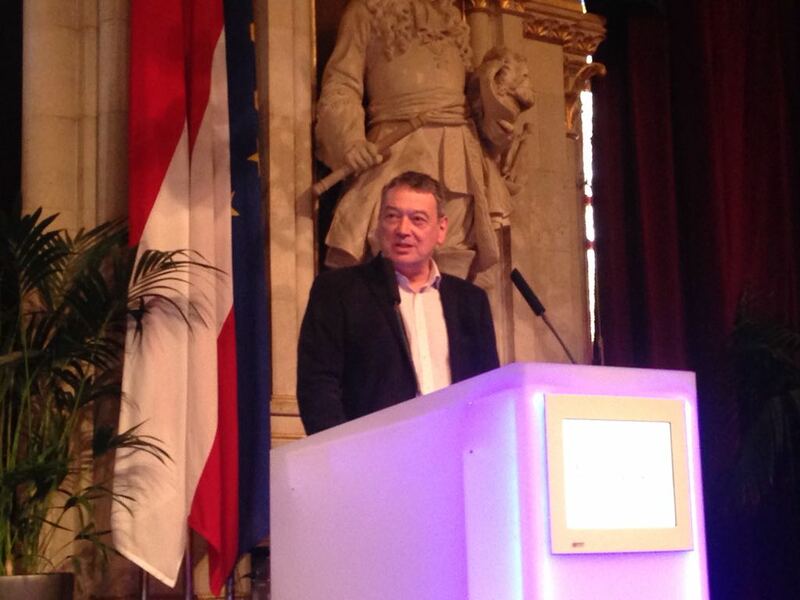 More than 500 chief editors, managing editors and media experts met in the Austrian capital Vienna at the European Newspaper Congress, which was organized by the publishing house Oberauer. But it was not just newspaper editors in attendance at this event. Rob Beynon, CEO of the London-based DMA Media Group, parent company of TheNewsMarket, the global online platform for TV and online journalists, admitted that he has spent all of his career in broadcast and video production. Beynon told the audience that it’s now easy and relatively cheap to set up digital channels which offer new revenue opportunities for publishers. The former BBC journalist and his team have been launching television channels around the world, most recently Iran International, a station that reaches out from London to a Farsi-speaking audience. One good example of a digital channel is that of the Sunday Times. The largest quality Sunday newspaper in the UK has recently launched the fashion channel StylePlay, where tutorial videos alternate with exclusive interviews. The content is editorially-led, even if the videos are sponsored by big cosmetics and fashion brands. Young people often watch television on a tablet or smartphone. Therefore, Beynon says that publishers and brands should make sure that the channels are easily scalable and thus suitable for mobile and smart TV reception. Beynon announced that DMA Media is setting up its own digital channel in partnership with a major European publisher. PhotographyNow will be a dedicated video channel for photography enthusiasts worldwide and it will launch later in the year.